Products – Memory – C162 – Team Research Inc. 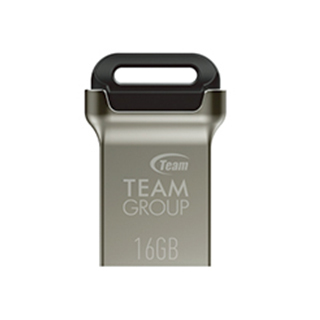 Team Group combines tough metal and soft colors, two conflicting elements to create C162: USB drives that are both durable and gentle. C162 is using the fastest USB 3.1 gen 1 interface (USB 3.0) to suit our performance seeking business users and enthusiastic players. By cleverly combining the toughness of Zinc Alloy and the softness of the mysterious black color, the beauty of integration from two different materials can be brought out ingeniously.